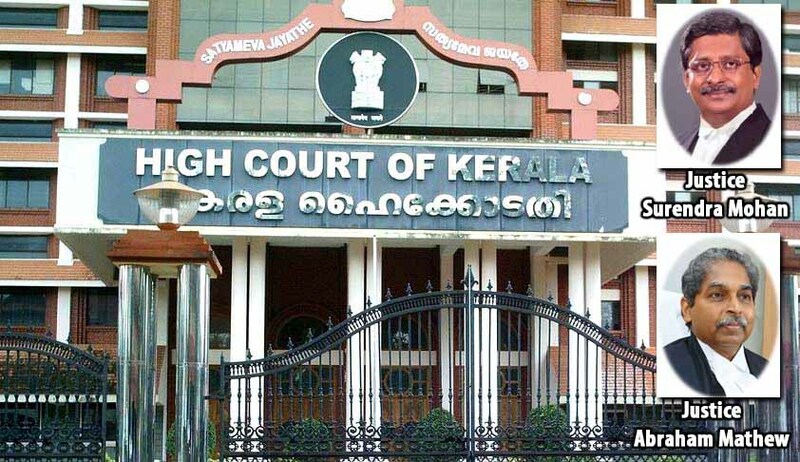 The Kerala High Court, in an unusual order, nullified the marriage of woman converted to Islam with a Muslim man in a habeas corpus petition filed by her father. A division bench of Justice Surendra Mohan and Justice Abraham Mathew held that the marriage, which is alleged to have been performed, is a sham and is of no consequence in the eye of law. The habeas corpus petition was filed by KM Ashokan alleging that his only daughter Akhila (24) had converted to Islam and he apprehended that she was likely to be transported out of the country. According to the petition, she is the only daughter of her Hindu parents. She was brought up as a Hindu, in accordance with the faith of her parents. She had joined the BHMS Course at the Shivaraj Homoeopathy Medical College at Salem. According to her, she became attracted to Islam religion about three years prior to her disappearance. She submitted that she came under the influence of Muslim religion, having heard about the teachings of the religion from her roommates. She had, therefore, attended a course at Satyasarani and had become Muslim by conversion. She refused to accompany her parents. She also submitted that she wanted to reside at a place of her choice. She has not been issued a passport and, therefore, there was no likelihood of her being taken to Syria, as alleged. She also submitted that she had got married to one Shafin Jahan on 19.12.2016, according to Muslim religious rites. It is stated that the marriage was performed by the khazi of Puthoor Juma Masjid as per Islamic shariat law at Srambikal house, Puthoor. At the outset, the division bench observed that it is not normal for a young girl in her early 20s, pursuing a professional course, to abandon her studies and to set out in pursuit of learning an alien faith and religion. The court also said it is not its concern or attempt to decide whether Akhila should follow Islamic faith or the Hindu faith. ‘The question of faith and religion are matters of personal conviction and this court does not consider it necessary to interfere in such matters that are personal to Ms. Akhila. However, what concerns this Court is the decision of hers that she does not want to live with her parents’. The court also observed that her conduct cannot be accepted as that of a person who is possessed of her faculties. “She has no idea as to what she wants in life. She appears to be under the control of someone else. It is evident that she has been indoctrinated and influenced by persons whose identities have not been ascertained. An attempt is made in these proceedings to give an impression that all the other players involved have acted only on the request of Ms. Akhila. Such a story is unbelievable”. The court held that this is not a case of a girl falling in love with a boy of a different religion and wanting to get married to him. Regarding the person who allegedly married Akhila (Shafin Jahan), the court said he is a leader of the SDPI and also accused in a criminal case. “No prudent parent would decide to get his daughter married to a person accused in a criminal case. This is for the reason that, the possibility of such a person getting convicted and being sent to jail cannot be ruled out. It is clear that Sri. Shafin Jahan is only a stooge who has been assigned to play the role of going through a marriage ceremony”. The court held that the alleged marriage is only a sham and is of no consequence. “The same was intended only to force the hands of this court and to scuttle the proceedings in this case that were progressing. The same was intended only to take Akhila out of reach of this court and her parents”. “Here, the detenue went away from her parents stating that she wanted to become a Muslim alleging that she was attracted to the teachings of the said religion. The said story cannot be believed for the reasons already stated above. In the present state of affairs, it is absolutely unsafe to let Ms.Akhila free to do as she likes”. The court held that a girl aged 24 years is weak and vulnerable, capable of being exploited in many ways. "This court, exercising parens patriae jurisdiction, is concerned with the welfare of a girl of her age. The duty cast on the court to ensure the safety of at least the girls who are brought before it can be discharged only by ensuring that Akhila is in safe hands"
“Ms.Akhila is the only child of her parents. There are no other persons in this world, who would consider the welfare and wellbeing of their daughter to be of paramount importance than her parents. The nature provides numerous examples of even animals taking care of and protecting their progeny sacrificing their very lives for the purpose. The Homo sapien is no exception. The forces operating from behind the curtains have succeeded in creating hostility in the mind of Ms. Akhila towards her parents. During our interactions, we have seen the anguish and sorrow of the father, who was pleading with his daughter to return home”. The court has finally ordered the custody of Akhila to her parents. It also ordered a full-fledged investigation in the matter.